Kalyandurg is a town in Anantapur district of the Indian state of Andhra Pradesh. It is a municipality, mandal headquarters and also the revenue divisional headquarters of Kalyandurg. The discovery of diamond-bearing Kimberlites in Kalyandurg area, is one of the clusters that has been discovered. Boya Palegars ruled important forts of Kalyandurg and rayadurgam. 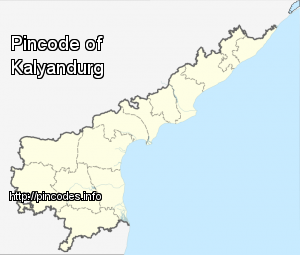 The name of Kalyandurg was derived from the name of a Polygar of 16th Century known as Kalyanappa. Kalyandurgam was under the rule of Sri Krishnadevaraya and was a part of Vijayanagara Empire. Kalyandurg was a taluk of Anantapur district in Madras province which was earlier a part of Dharmavaram that was separated in 1893.